During these days of transition in government, temperance in expectations is a wise policy based on experience. 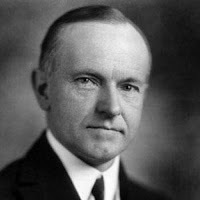 Calvin Coolidge said, "It is a great advantage to a president, and a major source of safety to the country, for him to know he is not a great man." The Yankee farmer was frugal with words, but they were not cheap. No fawning reporters claimed that his sober speeches sent a tingle up their legs. Magazines did not hail him as “The Second Coming,” and he would have thought it absurd to promise that his presidency was “the moment when the rise of the oceans began to slow and our planet began to heal.” Thus, he did not disappoint.